Bearkat | Out of the Box! 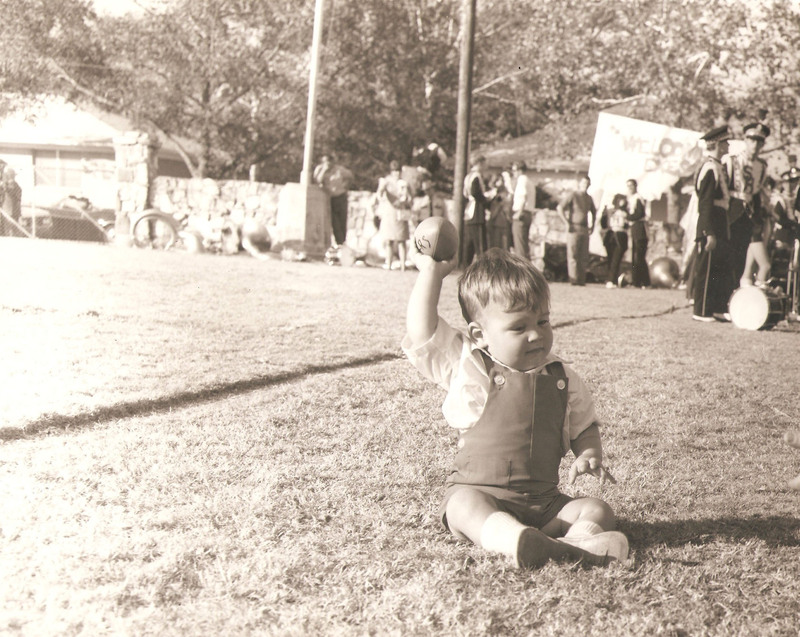 On December 14th, 1959, during a basketball game the first ever Sammy the BearKat mascot costume was unveiled. 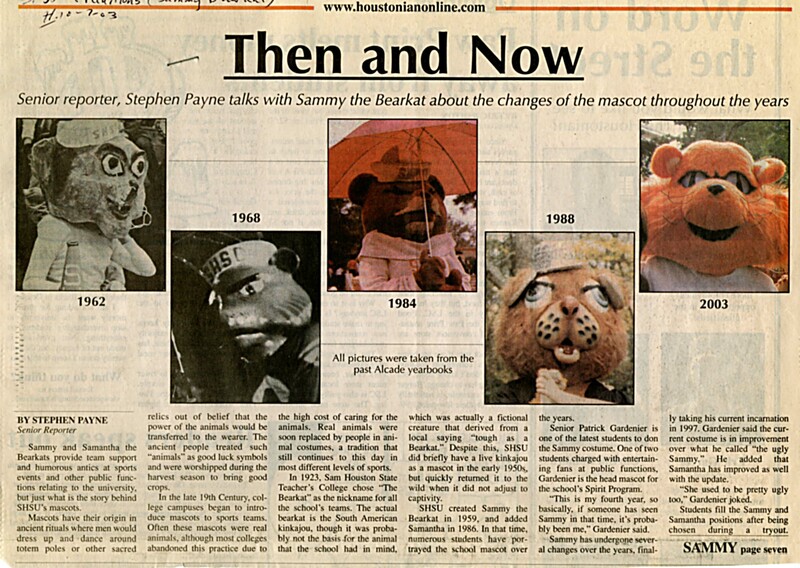 In the years since then Sammy has undergone many changes to his appearance to morph into the Sammy the BearKat we know today. This article from The Houstonian, 10/7/2003, gives a good overview of the various Sammy’s over the years. To find out more about Sammy the BearKat come and visit the University Archives in room 400 of the Newton Gresham Library. 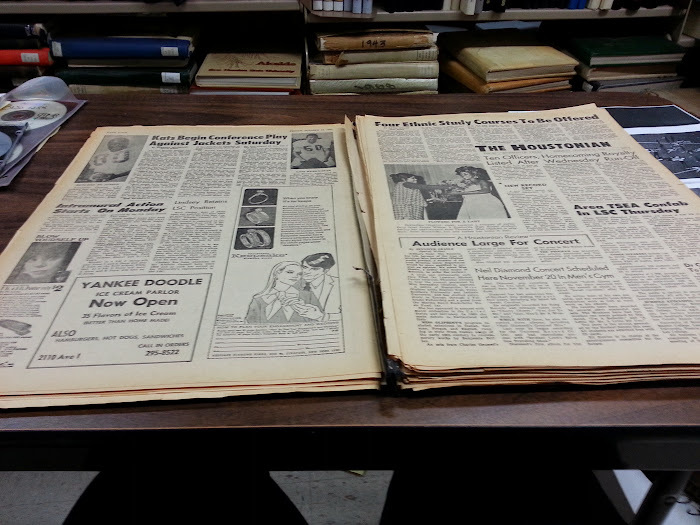 This week in the archives I’ve been sifting through old issues of the Houstonian from the 1970s, looking through sports articles for more information on the teams and games depicted in the photo slides I’ve been organizing. 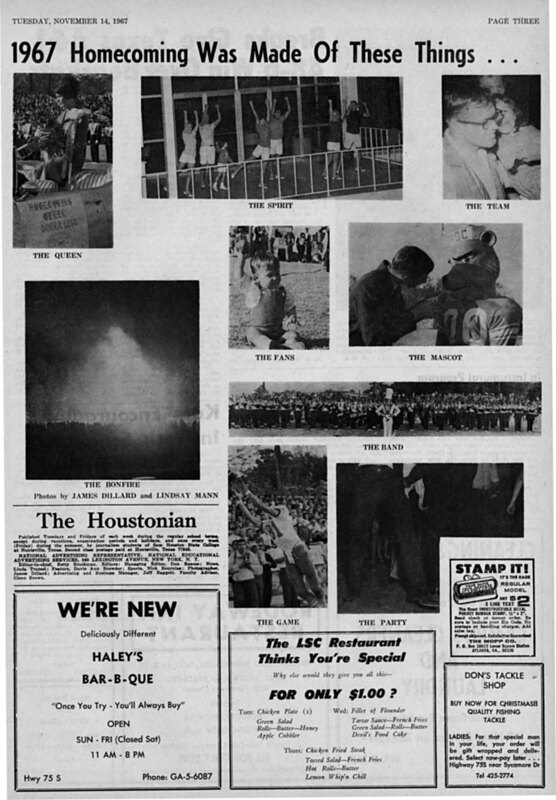 While going through all the old issues of the Houstonian I’ve come upon a couple interesting (and vaguely sports related) articles I wanted to share here. “Sammy Bearkat” perches on the shoulder of his student trainer. The article was more of a plea for new caretakers for the kinkajou, as his current caretakers were graduating. It outlined his behavior, the types of food he ate, and the requirements for any potential trainers. 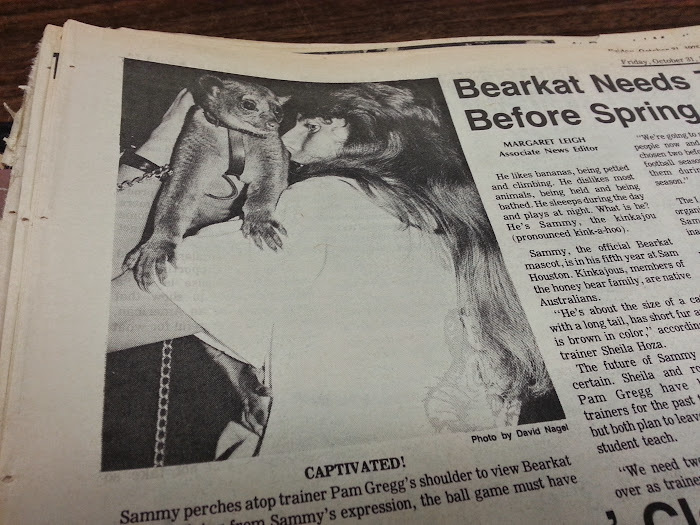 Apparently Sammy the kinkajou was the official mascot at SHSU from 1970-1975, although I didn’t find any more information about him after that year. The second article, from September 1979, was a reminder that the 1970s were a significant decade for collegiate athletics due to changes such as Title IX, which requires high schools and colleges to provide equal opportunities and resources for female athletes. The article, headlined “Women are in the Bearkat Den,” announced that for the first time in SHSU’s history women were allowed to live in the official dorm for student athletes. In the article, the women’s softball coach emphasizes that although the dorms are co-ed, no men were allowed inside the women’s rooms. 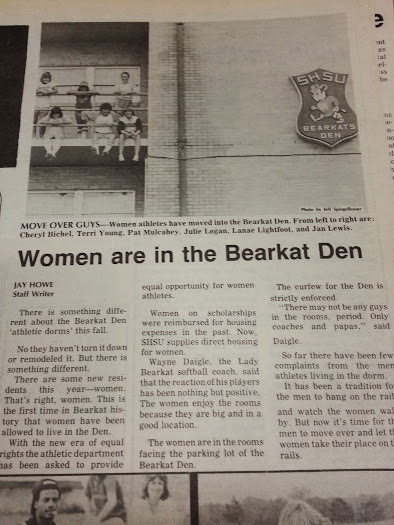 Accompanying the article is a picture of female athletes hanging on the balcony rails of the Bearkat Den.